The recently released schedule for Sounds Of Summer, Palatine’s Wednesday and Friday night outdoor concert series at the Fred P. Hall Amphitheater, serves up some longtime favorites and a few surprises. The Beatles tribute band American English and classic rock copy band 7th Heaven will open and close the season on June 13th and August 1st, respectively. 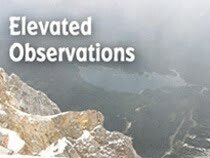 They’re two of the biggest acts on the local outdoor festival circuit. Palatine Concert Band, a collection of several talented musicians who play classical and big band pieces, along with the occasional march or soundtrack medley, has three Wednesday night slots, and the local guys of Triadd will be performing classic rock with an emphasis on harmony vocals over a mix of electric and acoustic guitars on July 25th. The five teenage girls of Serendipity will be playing contemporary hits their classmates would love, along with some vintage rock and soul classics on July 16th. They also perform original material and have their own CDs available for sale at their gigs. Motor City Music Machine, (sorry, I couldn’t find the website) scheduled for June 20th, mines the 1960s Motown era for hits from The Temptations, Stevie Wonder, and Marvin Gaye, while Hillbilly Rockstarz (June 25th) cover current and earlier country music stars. Classical Blast might be the most interesting booking of Palatine’s 2014 Sounds Of Summer series, so it’s hard to figure why they were scheduled on a Wednesday instead of a Friday. The quartet blends cello and violin with guitars and drums while performing songs like Cream’s “The White Room” and Pink Floyd’s “Comfortably Numb.” Founder/cellist Petar Kecenovici has worked with Dennis DeYoung from Styx, classical superstar Andrea Bocelli, and Cheap Trick. He’s also performed in Broadway musicals. Violinist Jimmy Chaos is a classically trained musician and instructor; guitarist David Kav is also a member of the duo KAVUS and has performed in local productions of Tommy and Man Of La Mancha; drummer Glen Kosche has logged time with JP and The Cats, Tom Carey Band, and Kickbend; and guitarist Bill Syniar was a founding member/producer of Tantrum, and has worked with Survivor, The Doobie Bros., and Steve Walsh of Kansas. 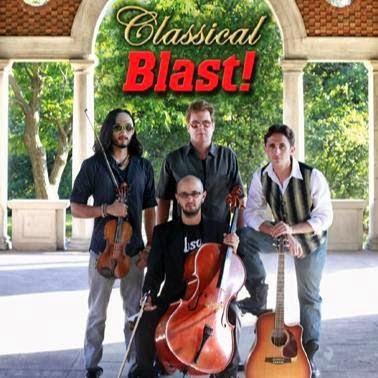 Classical Blast performs on July 23rd. The Sounds Of Summer outdoor concert series once again ends too early this year. Palatine does have its annual street festival in mid-August, but that’s no reason to abandon Fred P. Hall Amphitheater while the weather is still accommodating. I’d like to see some lesser-known acts, performing all original material, given an opportunity to use the space. It would be beneficial to the musicians and give Palatine some desperately needed indie rock cred.